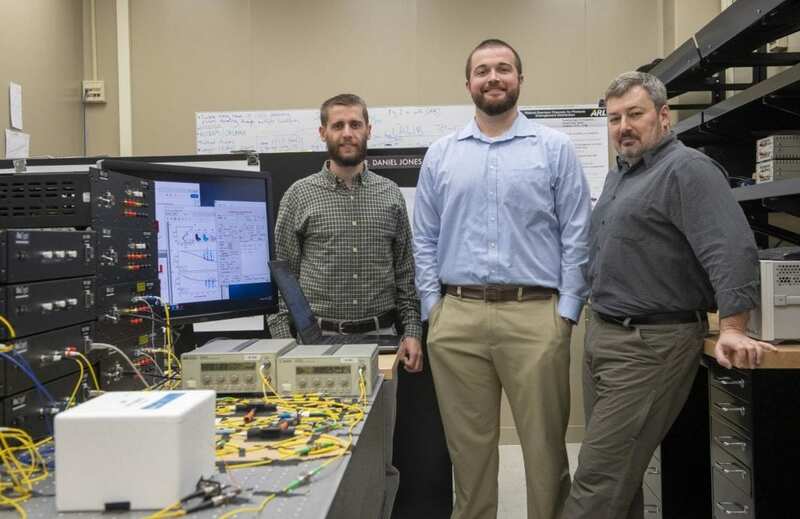 Scientists at the RDECOM Research Laboratory, the Army’s corporate research laboratory (ARL) have found a novel way to safeguard quantum information during transmission, opening the door for more secure and reliable communication for warfighters on the battlefield. Recent advancements of cutting-edge technologies in lasers and nanophysics, quantum optics and photonics have given researchers the necessary tools to control and manipulate miniature quantum systems, such as individual atoms or photons – the smallest particles of light. These developments have given rise to a new area of science – Quantum Information Science, or QIS, that studies information encoded in quantum systems and encompasses quantum computing, quantum communication and quantum sensing among other subfields. The Army’s corporate research laboratory invests in QIS research to guarantee continuous technological superiority in this rapidly developing field, which in turn will bring about multiple new technologies in computation, encryption, secure communication and precise measurements. However, to utilize quantum information, scientists need to figure out robust ways to process and transmit it – a task being tackled by Drs. Daniel Jones, Brian Kirby, and Michael Brodsky from the laboratory’s Computational and Information Sciences Directorate. The lab’s research team has been looking into ways of filtering noise from little bits of quantum information – quantum bits or qubits sent across fiber-optic telecom links. A journal paper documenting the research titled “Tuning quantum channels to maximize polarization entanglement for telecom photon pairs” is featured in the prestigious Nature Partner Journal Quantum Information.